"Understand What Black Is (Remixes)"
"Understand What Black Is" gets the remix treatment from some legends "Mala" and "Dego & Kaidi Tatham". 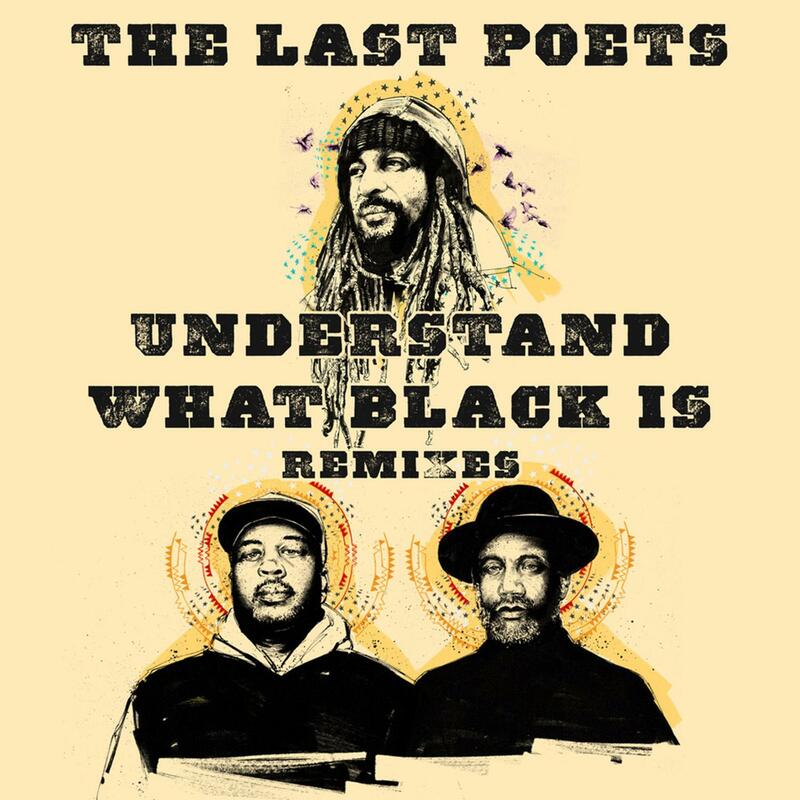 Hot on the heels of the first new album from The Last Poets in over 20 years, the title track "Understand What Black Is" gets the remix treatment from Digital Mystikz, DMZ and Deep Medi legend "Mala" and UK Dance music innovators and legends "Dego and Kaidi Tatham". The Last Poets new album "Understand What Black Is" is out now. A Nostalgia 77 & Prince Fatty Production. Written by Umar Bin Hassan, Abiodun Oyowele, Benedic Lamdin, Mike Pelanconi, Dub Judah, Winston "Horseman" Williams & Riaan Vosloo. Produced by Benedic Lamdin & Mike Pelanconi. Remix & Additional Production on 01, 02 & 03 by Dego & Kaidi, 04 & 05 by Mala, 06 Prince Fatty. Drums - Winston "Horseman" Williams. Bass - Dub Judah. Guitar - Kashta Menilek Tafari. Piano & Hammond - Carlton "Bubblers" Ogilvie. Piano - Ross Stanley. Percussion - Lenny Edwards & Afla Sackey. Trumpet - Alex Bonney. Flute - Gareth Lockrane. Clarinet - Lluis Mather. Bass Clarinet - George Crowley. Tenor Saxophone - James Allsopp. Baritone - Sam Rapley. Trombones - Trevor Mires, Tom White & Adrian Hallowell.